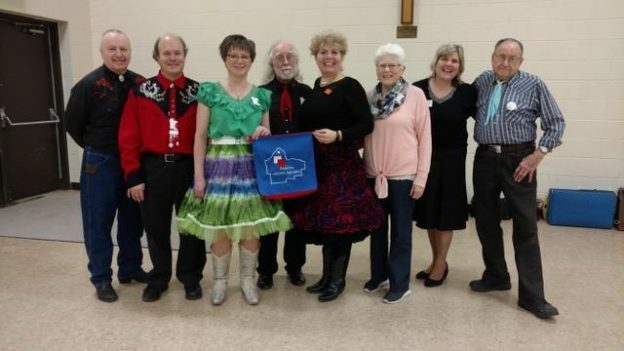 February 2, 2019 – Dakota Grand Squares “Sweetheart” Square Dance, Inver Grove Heights, Caller Abe Maier, Cuer Doug Brodeen. Hot Foot Stompers (see photo above) claimed a Dakota Grand Squares banner. This entry was posted in Activities on February 7, 2019 by LeRoy.